It is always rewarding to partner with customers on the extraordinary. 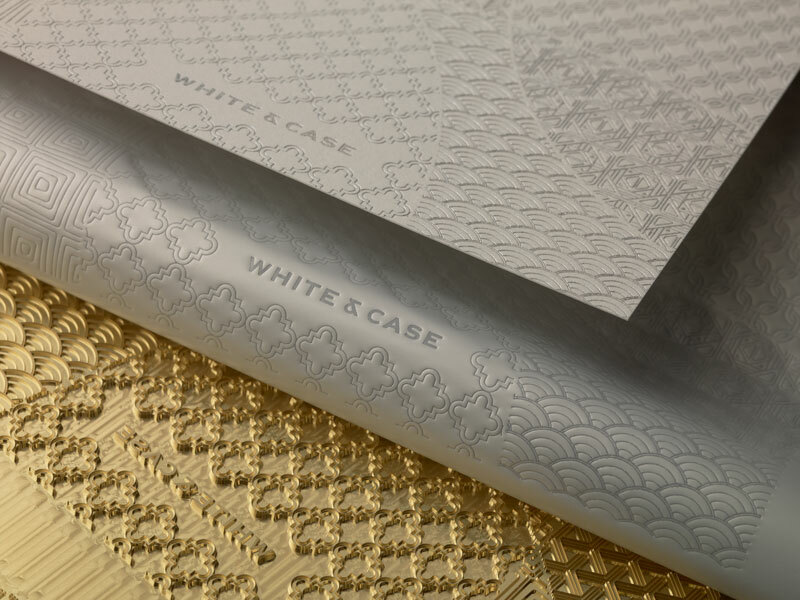 This year, White & Case created a spectacular holiday card. As always, their design team pushed the boundaries of what can be done. 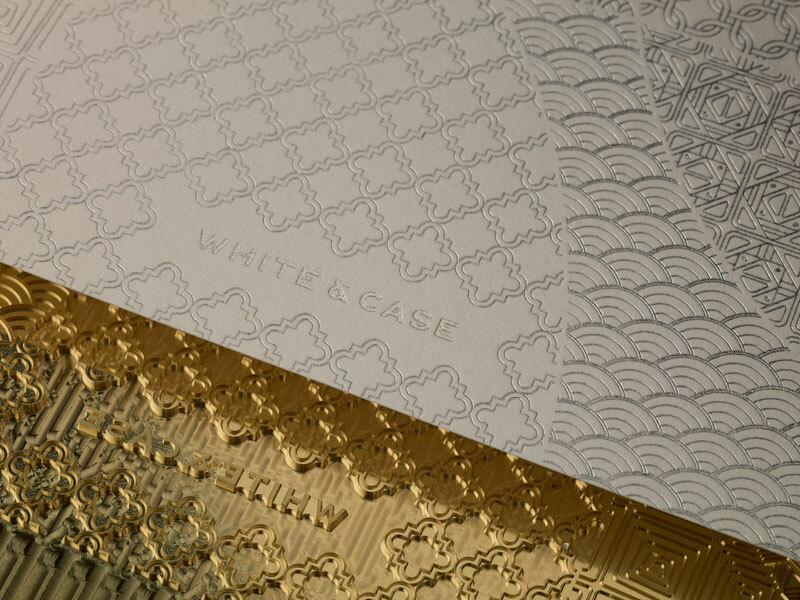 We tested three different foil options before ultimately deciding on the elegant silver matte foil. 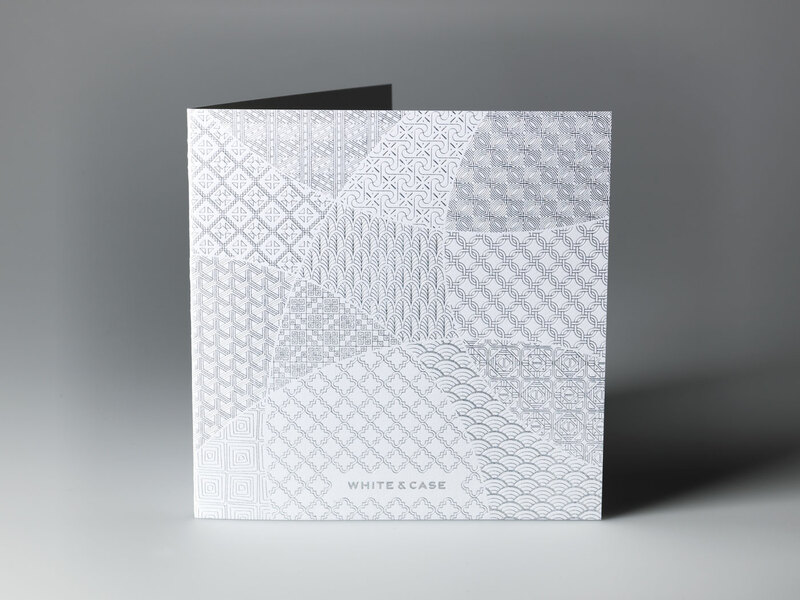 The intricate pattern and detail of the foil stamping make the card uniquely crafted, and perfect for sending holiday greetings. 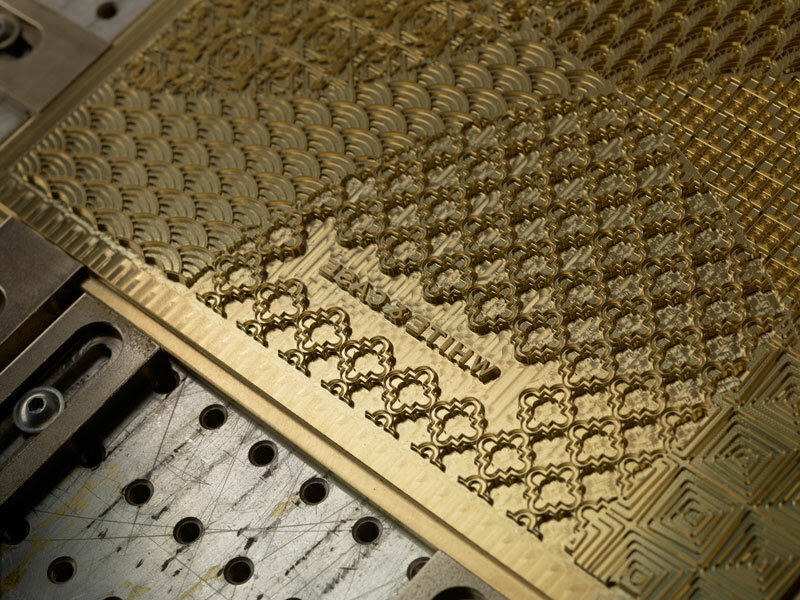 Foil stamp in Kurz Alufin MTC with a CNC machined brass die. Edition of 45,000 with worldwide distribution. Finished size 6.25” x 6.25” in matching envelopes. 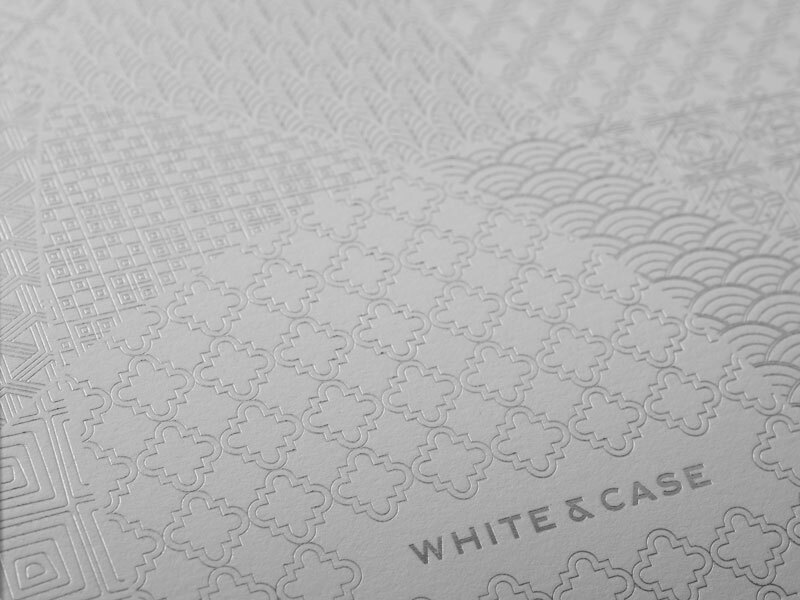 Printed on 118# Ultimate White Strathmore Impress Cover. This paper worked optimally with the extreme detail in the foil die.